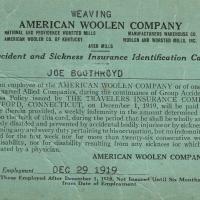 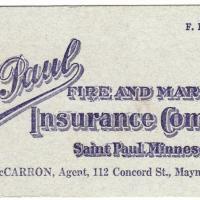 Joe Boothroyd's insurance card that outlines the benefits offered by the Woolen Mill. 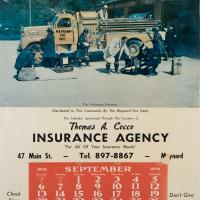 Large wall calendar depicting a fire truck with Maynard Fire Department emblazoned on the door. 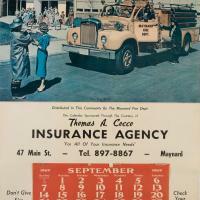 Not likely a Maynard truck or scene. 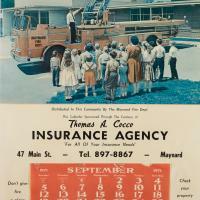 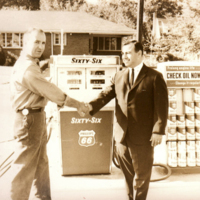 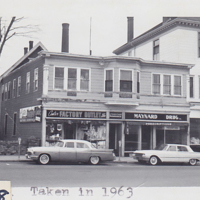 A series of six photos highlighting the Coco Insurance Agency. 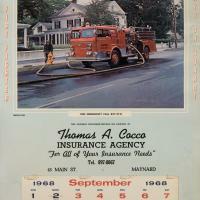 Included in the photos are Tommy Coco and Marge Coco. 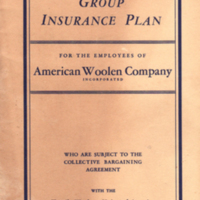 A booklet describing the Blue Cross Insurance Plan for employees of the American Woolen Company, 1945.